Zaanstad is not of itself a city, but is rather a municipality of North Holland near to Amsterdam. It has a population of around 150,000 and is a very industrial area.The municipality is made up of several towns and villages, Koog aan de Zaan, Wormerveer, Westzaan, Zaandijk, Zaandam, Krommenie and Assendelft. All of the areas that go to make up Zaanstad are by or around the river Zaan. All together they form Zaanstad, making it the 14th largest municipality in the Netherlands. The history of Zaanstad as a municipality did not itself begin until 1974, when the various towns and villages were formed in to the one region. But the history of its components however goes much further back. Much of the local wealth in the Zaanstad region has been built up in the timber industry. 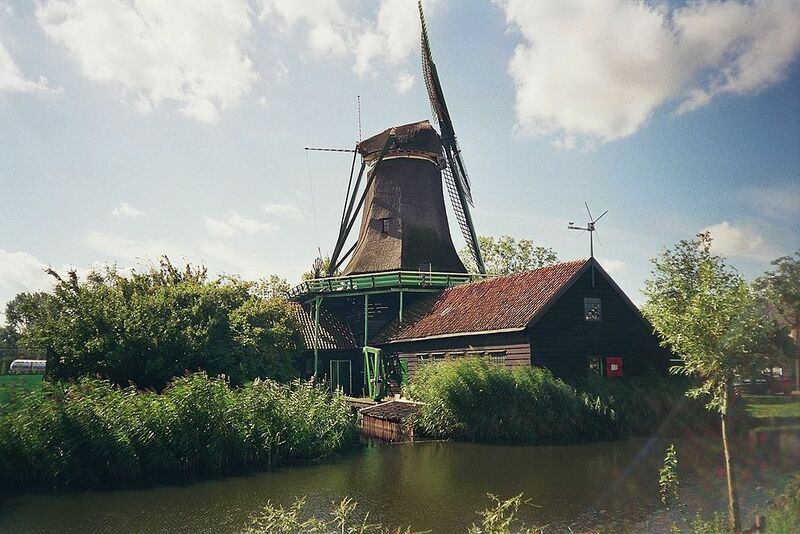 From the 1500’s the area around the river Zaan that was known as Zaanstreek contained a great many windmills whose primary purpose was to take in the lumber that had been imported from Scandinavia and to season and cut it so that it could be used in the shipbuilding industry. Later on the wood from these mills also went to the making of paper. Wood from Scandinavia used to be highly thought of in industry as the cold conditions made it grow slowly, this in turn made it very strong. In 1697, the Russian Tsar “Peter the Great” stayed in the area for 4 months under a pseudonym so that he could study and learn about carpentry and shipbuilding. In 2004 a sculpture was put up in Zandaam by the Yugoslavian artist Slavomir Miletic called “The Woodworker” in honour of the craft. From The 1600’s onwards, the land around Zanstreek was one of the main food producing areas of the Netherlands and made a contribution so great to the national food production that it was referred to as “the food basket of the Netherlands” Whaling was also very important at this time, with the area having access to the North Sea. In the later half of the 19th century the popular French painter, Claude Monet, of the impressionist movement stayed in the area and did several paintings of local beauty spots. In 1974 the different towns and villages were incorporated into the municipality of Zaanstad and in 2011 the council moved into their new offices in Zaandam. When you travel by public transport in the Netherlands, it is best to get an ov-chipcaart this is a small credit card sized card that you can take to stations and participating shops and load with credit for your travel. Then you just place your card on the card reader when you get on and off of the transport and it will automatically debit your card for the correct amount. 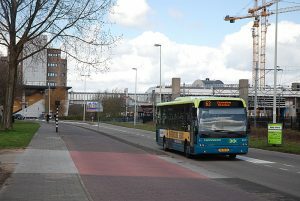 The bus lines number 92 and 94 go from Amsterdam several times and hour to Zaandam Central Station. 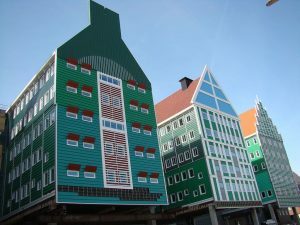 If you are wanting to go onward to the other towns and villages in Zaanstad, then there are good connections from the bus station at Zaandam. If you are wanting to go to more than one part of the municipality, then it is probably easiest to do so by car. there are plenty of car hire firms in both the airport and central Amsterdam. Although the municipality of Zaanstad is not at first thought a destination for the discerning traveller, if you take the time to do a bit of research, it is possible to spend a very interesting time there. The Zaans Museum was originally built in 1994, but had a new area added in 2009, opened by Queen Beatrix, it was built to provide a home for the collection of the Verkade family. The main part of the Zaans Museum houses a large collection of local cultural and industrial exhibits. The Tsar Peter House, is a small wooden house built from reclaimed timbers to house local workers. But became a residence of much importance when, in 1697 it provided accommodation for the Russian Tsar “Peter The Great”, who lived there for 4 months under an assumed name to learn the skills of shipbuilding. The “Blue House” was originally painted by the impressionist painter Claude Monet who stayed there while painting in the area. Although not as well placed as its bigger neighbour, Amsterdam, the best shopping in the Zaanstad is to be found in the largest town in the municipality, Zaandam. There are shops as soon as you leave the station, but the best of the shopping is to be found on Canal Street, where you will find anything from little boutiques to kitchenware shops. Porto Fino is a very good little Italian restaurant where you can get some good, homely Italian food without breaking the budget. It also has knowledgeable and friendly staff. De Boekanier is a traditional Dutch restaurant serving both Dutch and continental food. It is a small but friendly place with a very good atmosphere that serves good quality food at a reasonable price. If you are going to the municipality of Zaanstad, then it is good to get around and see some of the surrounding villages as well as going to the more obvious destination of Zaandam. Although having a hire car is probably the best way to go, it is still very doable to take the bus and get around. There are interesting places to see and plenty of things to do as well.